Live racing returns Monday through Thursday beginning April 20, 2014. No live racing Thursday June 25. 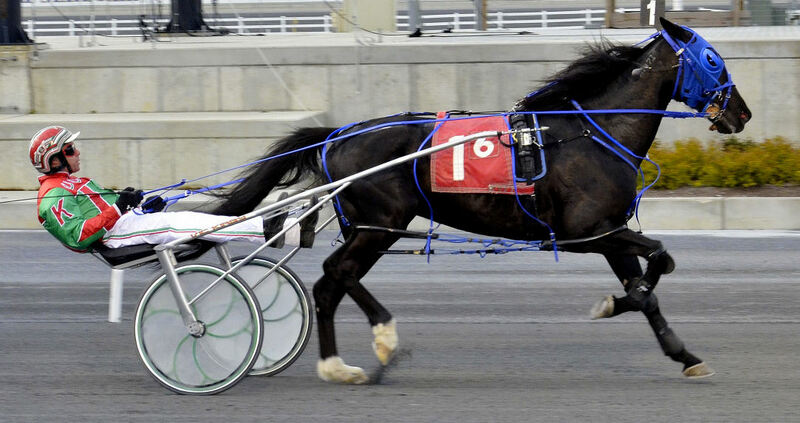 Harrington Raceway’s 68th season of live harness racing came to an end October 23. Four-time leading driver Ross Wolfenden capped the meet-ender with four driving wins, but it was not enough to catch Allan Davis, who won his first career title with 157 wins at the meet. 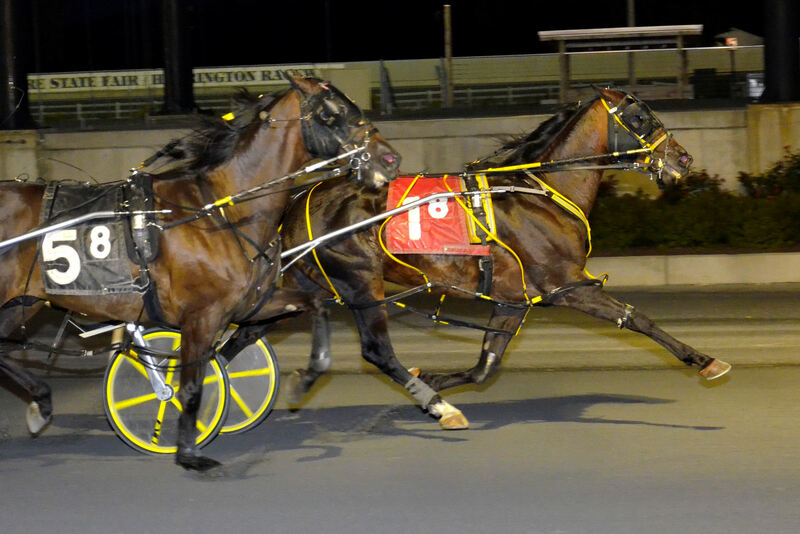 A pair of Delaware Standardbred Breeders Fund $100,000 finals for 2-year-old trotters were contested on the penultimate Harrington Raceway program of 2014 Wednesday over a sloppy racetrack. Remember Me VK produced the second track record in as many nights Tuesday at Harrington Raceway with an impressive 1:52.3 triumph in the $100,000 DSBF final for 2-year-old pacing colts and geldings. Joann Looney- King’s Purrfect Bags ($11.80, Victor Kirby) notched a mild upset in winning the $100,000 Delaware Standardbred Breeders Fund (DSBF) final for 2-year-old pacing fillies Monday at Harrington Raceway in a track record setting time of 1:53.2. Bob Shahan and Donald Marine’s Political Cash ($4.60, Allan Davis) reset the track record for 2-year-old trotting geldings Wednesday with a 2:00 win as the fastest of six Delaware Standardbred Breeders Fund (DSBF) eliminiations at Harrington Raceway. 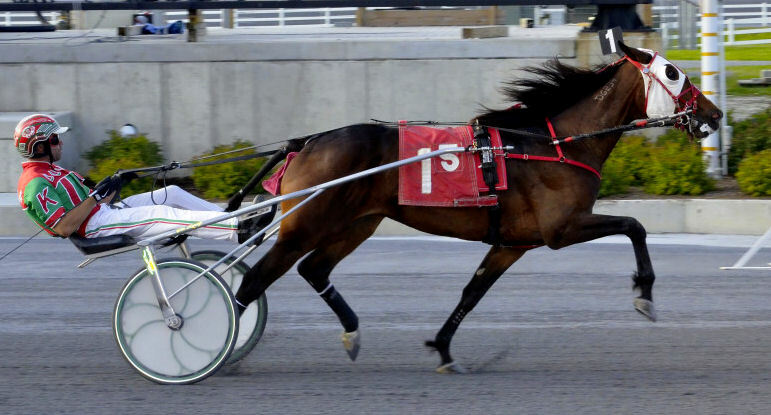 Carter Racing Stable's Totally Rusty ($3.80, Corey Callahan) broke her own track record Monday as the fastest of three $20,000 DSBF 2-year-old filly pacing eliminations with a 1:54 score. Opening week for the Delaware Standardbred Breeders Fund (DSBF) stakes eliminations for 2-year-olds continued Wednesday as six divisions of trotters were contested. 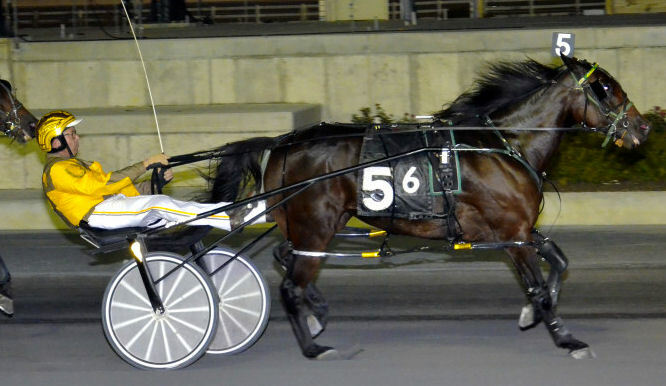 A new track record was established and driver Victor Kirby had six winners on the program. Four $20,000 divisions of the first leg of the Delaware Standardbred Breeders Fund (DSBF) for 2-year-old pacing colts and geldings were contested Tuesday at Harrington Raceway. 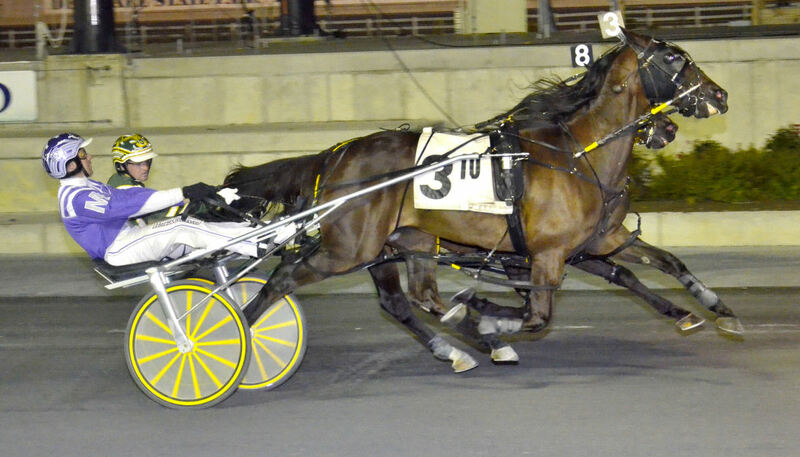 Scott Woogen’s KJ Ben ($14.40, Art Stafford Jr.) was the fastest winner after a 1:54.1 impressive score. 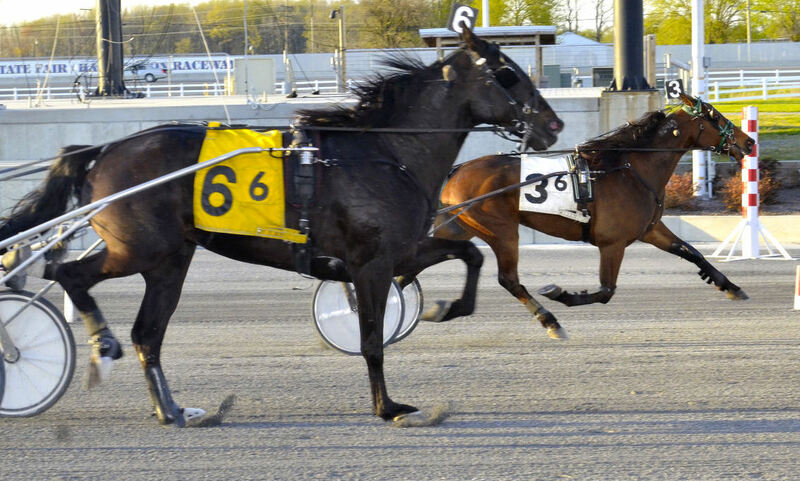 Two new track records for trotters were set on the 14-race program at Harrington Raceway Wednesday, both of which were driven by Jonathan Roberts. Foiled Again claimed his third Bobby Quillen Memorial title with a 1:50.2 win in the 8th Annual $220,000 final at Harrington Raceway Monday. One year removed from their epic duel in last year’s event, two of harness racing’s heavyweights among the pacing division, Foiled Again and Clear Vision, are among an accomplished field in the 8th annual $220,000 Bobby Quillen Memorial at Harrington Raceway Monday (September 15). Local standout trotter I Like My Boss passed a stiff test Wednesday, winning his 15th straight race in 1:56.4 in the $17,000 Open Trot for co-owner and trainer Bob Shahan. I Like My Boss kept his unbeaten record intact Wednesday with a 1:57 triumph in his first test vs. older horses at Harrington Raceway in a track record performance. J&M Racing’s Embassy Seelster ($16.40, Allan Davis) won her Harrington Raceway debut Tuesday with a 1:52.3 score in the $13,000 Mares Open II. John Dayton's Just a Jolt ($3.60, Victor Kirby) notched his third straight win and equaled the 4-year-old gelding track record in the process of his 1:51.1 win in the $17,000 Open Monday at Harrington Raceway. 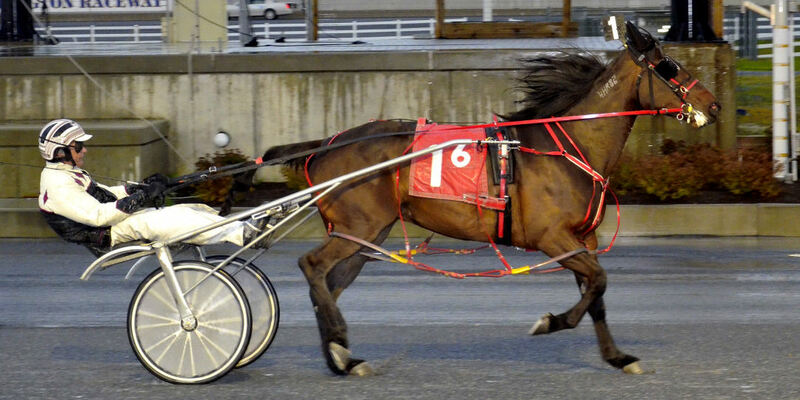 Driver Allan Davis had eight driving winners at Harrington Raceway on Wednesday. Trainer Wayne Givens also had a huge night with five wins. Harry Von Knoblauch’s Scootin For Joy ($4, Ross Wolfenden) notched her fifth win of the year Tuesday in 1:55.1 over a sloppy racetrack in the $17,000 featured Mares Open at Harrington Raceway. John Dayton’s Just a Jolt ($6.60, Victor Kirby) notched his third consecutive win Monday at Harrington Raceway with a 1:52.4 triumph in the $17,000 Open. Barbara Boese's Awsome Valley ($7.60, Tony Morgan) sprung a mild upset in an abbreviated field in Wednesday's $17,000 Open Trot at Harrington Raceway with a 1:56.1 triumph. Robert Winkelman’s Paradise Lost ($4.20) benefited from a pocket trip to earn a narrow win in 1:54.2 in the featured $17,000 Mares Open Tuesday at Harrington Raceway as one of five driving winners for Allan Davis. Joan Dalphon and Elanor Laws’ Don’t Ya Know ($16.60, Allan Davis) won his second straight race Monday with a 7-to-1 upset in the $17,000 Open Pace on opening day at Harrington Raceway in 1:52.1. Driver Allan Davis had five winners. 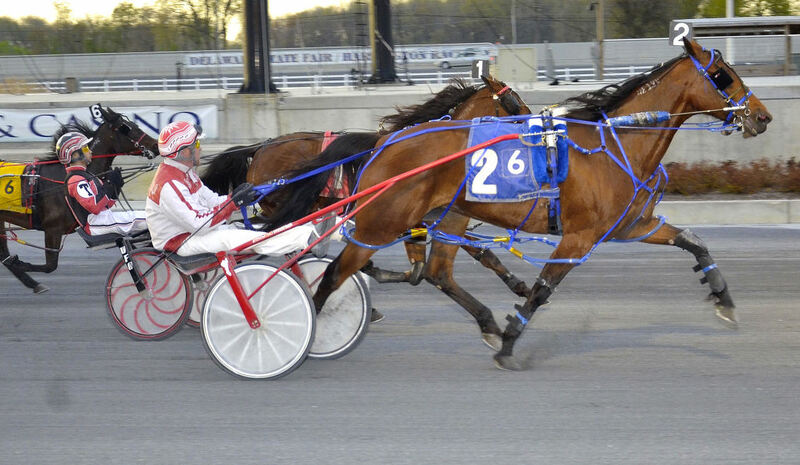 Harrington Raceway's 68th year of live racing will commence Monday April 21. Horsemen are reminded that the first draw will take place Tuesday April 15. The entry box will close at 10 a.m. for the first three draws. Entries for Wednesday April 16 qualifying races will also be taken on Tuesday. 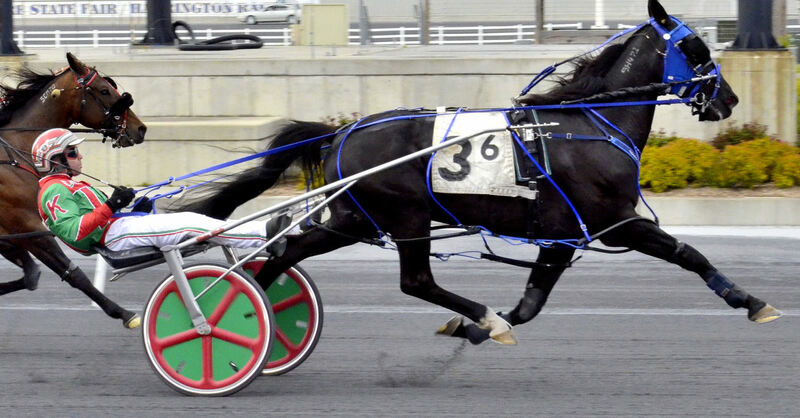 Harrington Raceway will race a total of 84 days in 2014, beginning its 68th year of live harness racing on April 21, one day after Easter Sunday.